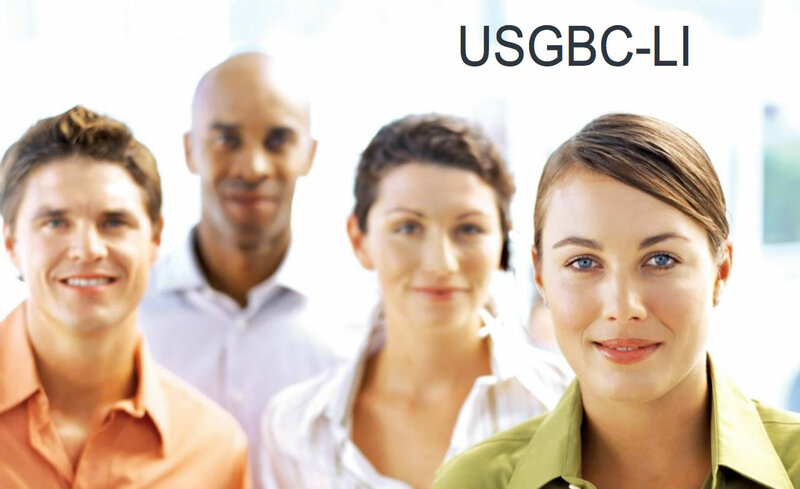 The United States Green Building Council- Long Island Chapter (USGBC-LI) is dedicated to encouraging and facilitating sustainable practices on Long Island through advocacy, education and outreach efforts to local municipalities, residents, and building industry professionals. The U.S. Green Building Council is the nation's foremost coalition of leaders from every sector of the building industry working to promote buildings that are environmentally responsible, profitable and healthy places to live and work. USGBC's core purpose is to transform the way buildings and communities are designed, built and operated, enabling an environmentally and socially responsible, healthy, and prosperous environment that improves the quality of life. USGBC-LI works to bring these values to the communities of Long Island. The chapter provides educational and outreach programs, reaching local municipalities and code officials while providing local contractors, engineers, and other building industry professionals with the resources they need to incorporate green practices in their projects and work toward LEED certification. Whether you’re a seasoned professional or just starting your career, working on your 10th LEED project or your first, USGBC has the resources to help you meet your goals. Introductory workshops, professional development programs, online seminars, and Greenbuild educational sessions on dozens of technical and business topics provide you and your colleagues with the tools for success. What is Green Building, Anyway? “Green building” refers to the design, construction, and operations of buildings that are environmentally responsible, profitable, and healthy places to live and work. It’s a practice that is transforming the industry. Take the first step toward getting involved by joining the Long Island Chapter. You’ll learn the benefits of green building, the basics of the LEED (Leadership in Energy and Environmental Design) Rating System, and how you can leverage green building throughout your business. Choosing a building's site and managing that site during construction are important considerations for a project’s sustainability. Sustainable Sites category discourages development on previously undeveloped land; minimizes a building's impact on ecosystems and waterways. Buildings are major users of our potable water supply. Water Efficiency category encourages smarter use of water, inside and out. This category encourages energy strategies: commissioning; energy use monitoring; efficient design and construction; efficient appliances, systems and lighting; the use of renewable and clean sources of energy, generated on-site or off-site. During both the construction and operations phases, buildings generate a lot of waste and use a lot of materials and resources. This category encourages the selection of sustainably grown, harvested, produced and transported products and materials. Promotes strategies that can improve indoor air as well as providing access to natural daylight and views and improving acoustics. The LEED for Homes rating system acknowledges that a green home is only truly green if the people who live in it use the green features to maximum effect. Awareness & Education credits encourage home builders and real estate professionals to provide homeowners, tenants and building managers with the education and tools they need to understand what makes their home green and how to make the most of those features. A yearly meeting that provides information on the chapter, its committees, events and initiatives. This event is also a networking forum for members to share ideas with each other and with committee chairs and board members. The Annual USGBC-LI Gala provides Long Island's leaders the opportunity to meet like-minded proffesionals who are promoting our sustainable built future! This quarterly meet and greet attracts individuals from many different industries who share a common interest in healthy and sustainable environments. Long Island’s most popular “green” networking event. These bi-monthly educational programs often include a panel discussion, multi-media presentation, networking hor d'oeuvers and drinks! Study groups help prepare individuals who are seeking the coveted LEED Green Associate, LEED Accredited Professional and LEED Fellow designations. Workshops educate members on applying their LEED knowledge on variety of disciplines form New Construction, Healthcare and Educational facilities to homes and neighborhood development. USGBC-LI offers scholarships to students, informational guidelines and assistance to municipalities, architects, engineers, designers, owners, tenants and residents.